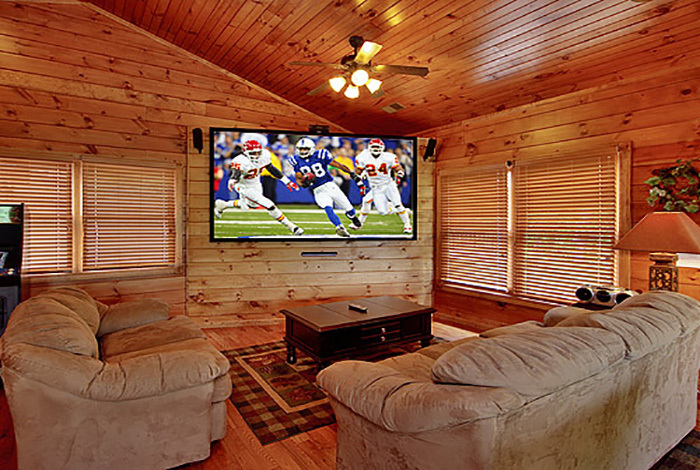 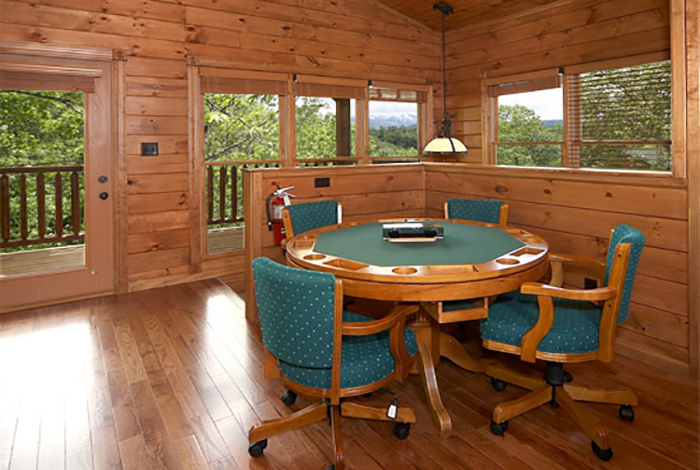 Don’t let the name fool you, because this cabin offers just as many ways to have fun as it does to relax. 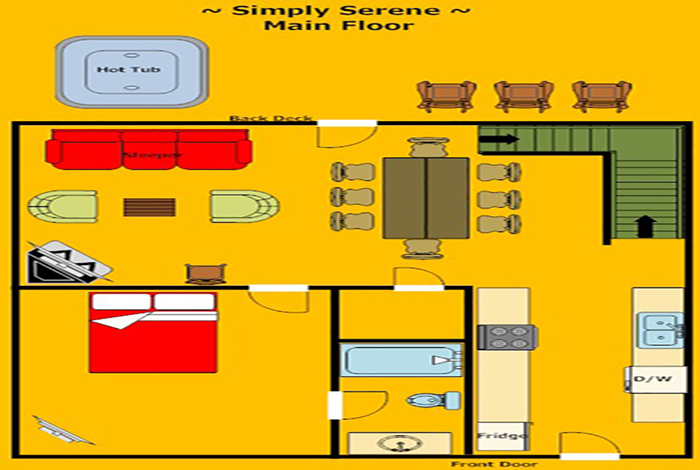 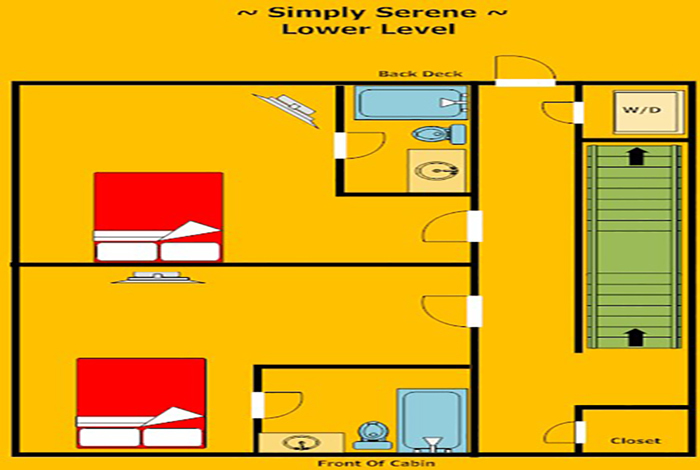 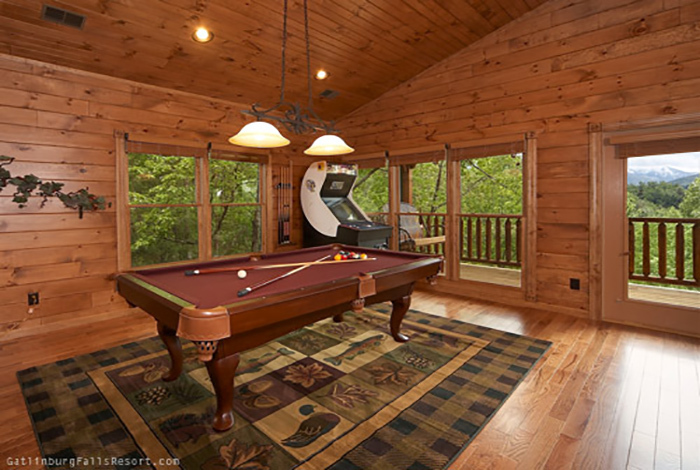 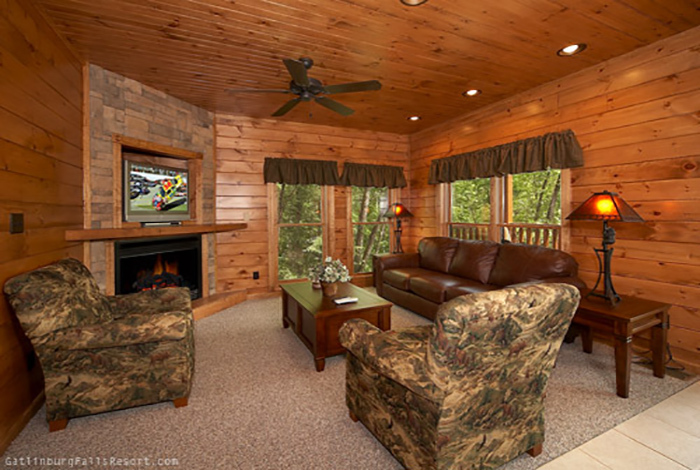 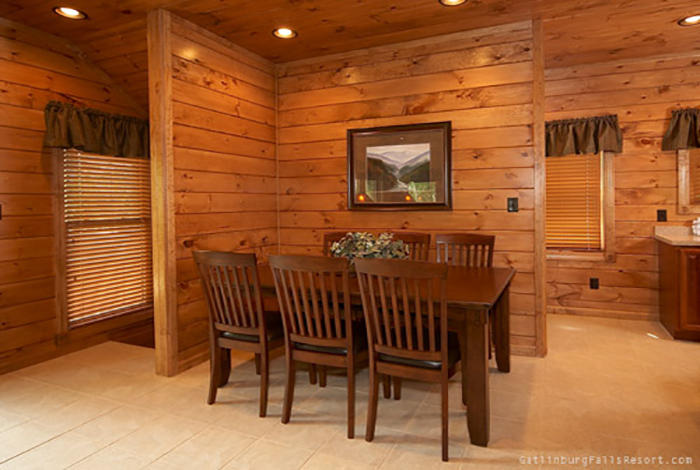 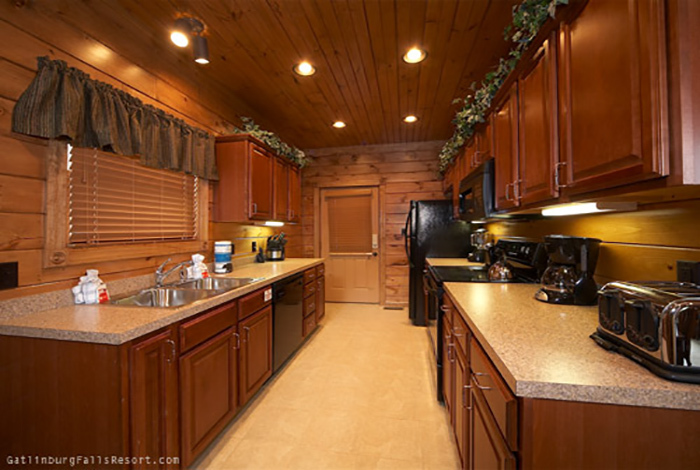 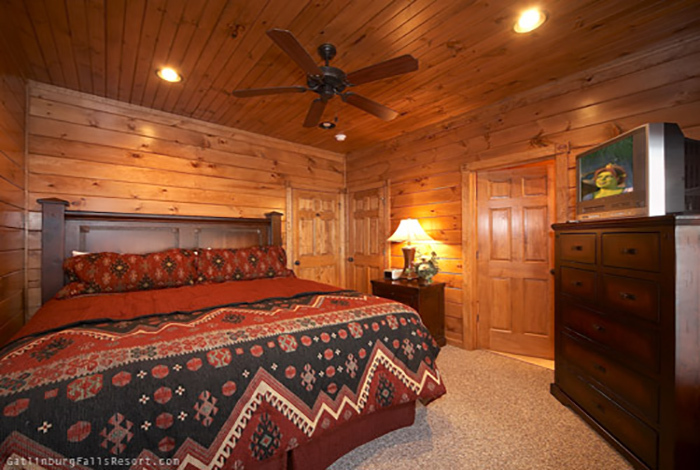 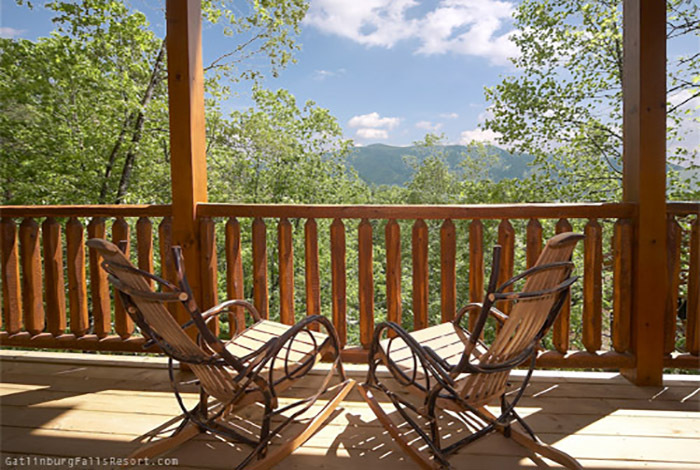 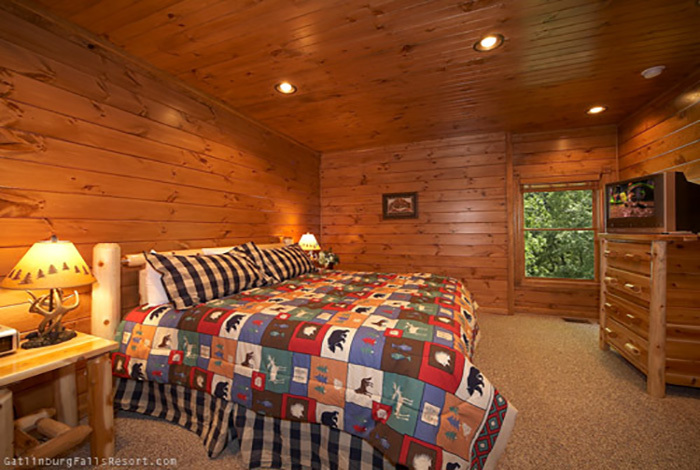 Simply Serene is a 3 bedroom luxury Gatlinburg cabin rental that is sure to become your family’s favorite vacation spot for years to come. 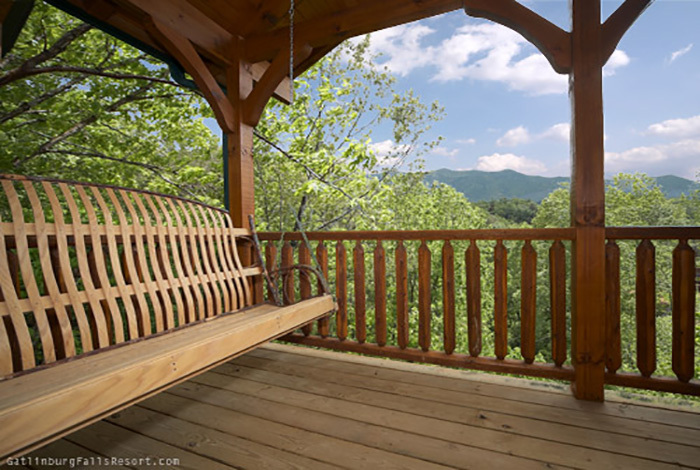 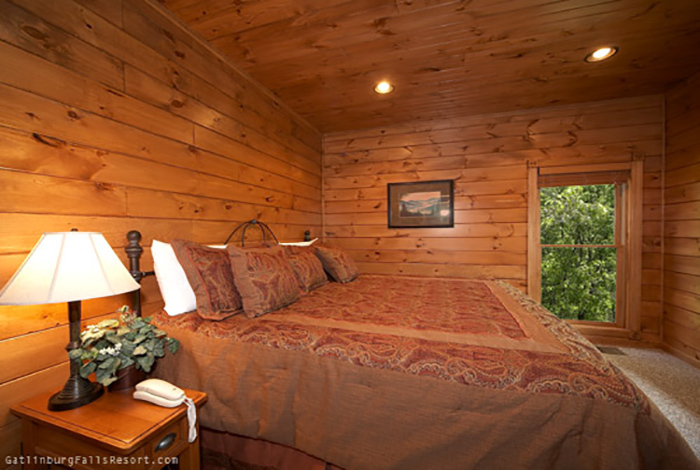 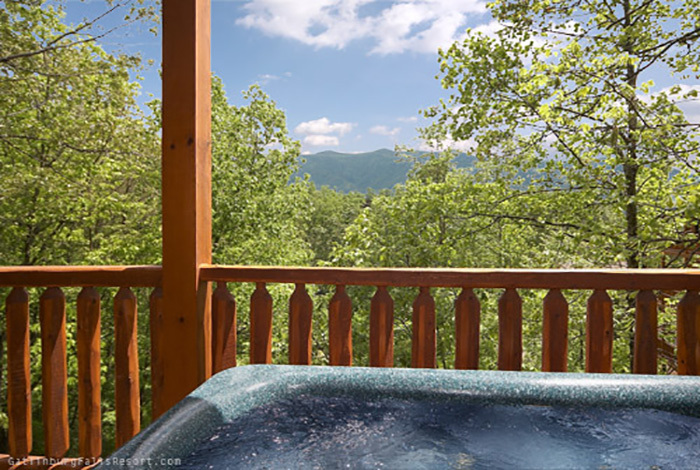 It’s location in the secluded Gatlinburg Falls Hidden Valley Resort allows Simply Serene to offer spectacular mountain views while downtown Gatlinburg and Pigeon Forge sit just minutes away. 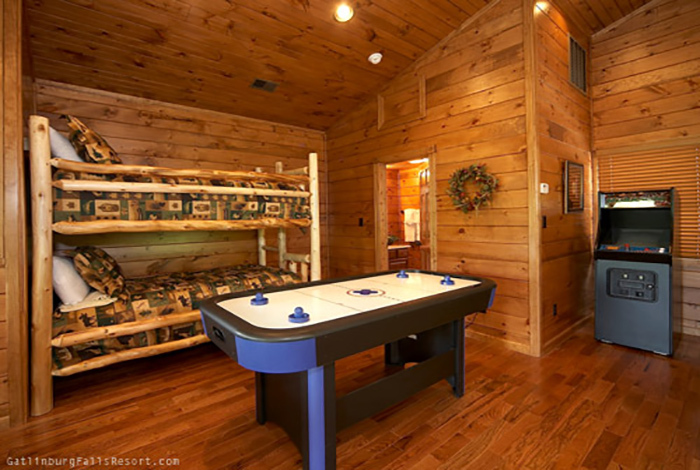 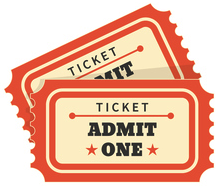 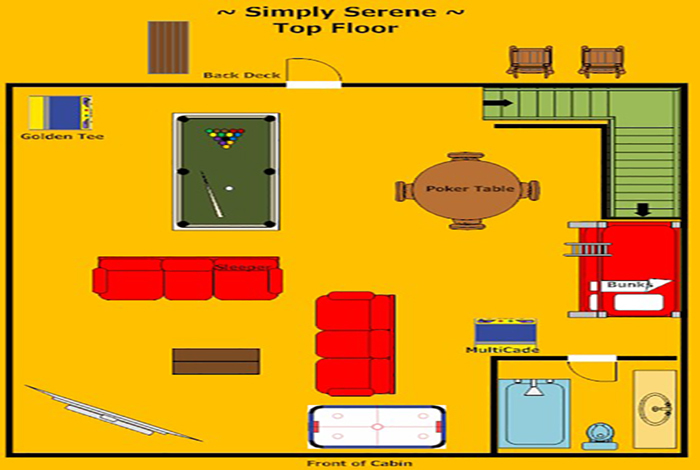 Adults can relax on the deck in the Amish rocking chairs, Porch Swing, and Hot Tub; while the kids are enjoying the game room which is stocked with Pool Table, Air Hockey, Bumper Pool/Card Table, Golden Tee, Ms. Pac Man/Galaga arcade game, and Home Theatre with Sofa Seating. 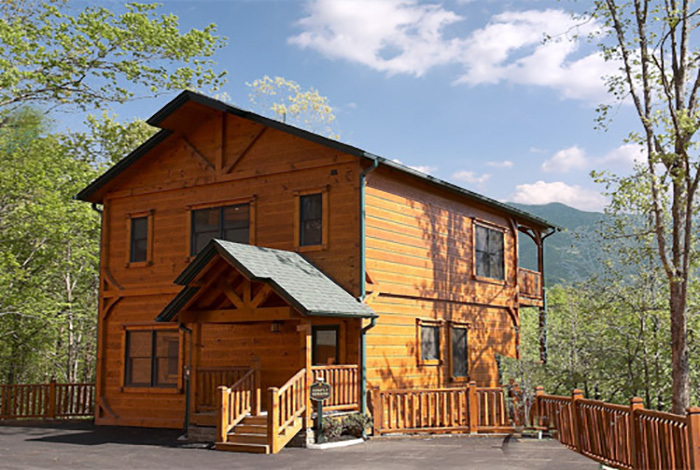 Your four-legged friends are also invited to join in the fun as this is a pet-friendly cabin, and our summer guests also gain access to the resort swimming pool located near the resort entrance at the foot of the mountain.